The right to write rests within anyone possessing the inclination to say something meaningful and true. For years, Authors relied on instinct alone to source effective tension within their stories. Some found success while many others eventually gave up and turned towards other pursuits. The drive to tell a story is a sacred one and exclusive to no one. An approach now exists to help those stumbling in the dark find their way. Our series on Plotting Your Story with Dramatica—a series this article completes— offers Authors an opportunity to accurately determine the exact source of tension within their story. With this approach, Authors lay aside guessing for a knowing that integrates with their deepest intentions. The Dramatica storyform codifies Author’s intent; diving in and looking at the framework from within clues us in on what it feels like subjectively to experience that intent. In short, this process shifts us forward in linear time so that we may know our story as the Audience experiences—before we even put the final touches on that first sentence. Previous articles in this series examine traditional Three-Act structures and the more prevalent, and popular, Two-Act structures. In this, we observe the rare—and almost episodic—Four-Act structure. Complete narratives move through four different regions, or Signposts, of conflict. The nature of those Signposts determine whether the story feels like a Two, Three, or Four-Act structure. Some stories explore our differences before our similarities, while others begin with the similarities and then venture into the differences. These up-and-down (or down-and-up) narratives—like Aliens or The Matrix or The Incredibles—feel like Two-Act Structures. Other stories start with one, move into the other, and then return back to the first. Arrival, Being John Malkovich, and The Descendants share this approach. These there-and-back-again journeys feel like Three-Act Structures. The Four Act Structure alternates between our differences and similarities as it seeks out a potential solution for the characters. The constant bouncing back-and-forth feels episodic because of the lack of an observable trend in thematic exploration. The Great Gatsby, The Godfather, and To Kill A Mockingbird all quadrangulate resolution as they move towards their inevitable conclusion. Note the emphasis on the novel in the examples above. Narrative functions the same regardless of form; novels, screenplays, and plays all share the same structural and dynamic framework. Some forms, however, lend themselves to a certain kind of structure. The fall-and-rise of the Two Act structure works great for the cinema because of the emphasis on sight and sound. The increased real estate of the novel naturally gravitates towards the Four Act structure; the alternating currents feel at home within a work that enjoys the luxury of time. A pattern of beginning with the Prerequisites and moving to the Requirements emerges. What then of the Four-Act Structure? Does one simply tag on the Story Goal or some other Static Plot Point to that fourth and final Act? Or do we somehow shift the entire pattern forward and find some other point of reference for that first narrative movement? Remember our article Dramatica: A Fractal Model of Story Structure? In it, we examine the cascading nature of dramatic units moving from Act all the way down to the individual Beats of a Scene. In fact, the separation from one level to the next exists as an illusion manufactured by the observer: a narrative circuit is a narrative circuit is a narrative circuit. The same relationship exists for tension within a Four-Act Structure. One side [of the model] separates and the other blends. That blending part is what you don’t see in the Dramatica model directly, but it’s affect is omnipresent…These concepts appear over and over again both in the elements of story structure and in the subject matter we explore in stories because choosing one view over the other is never absolute and must be determined by experience for a given context, yet is always changing, drifting, and what was best seen linearly this week (or in our childhood) may be better seen holistically (as an adult) at this time (though it might change again next week). In order to effectively determine the best solution for a particular problem we need access to both the point-of-view that emphasizes the differences and the point-of-view that encourages a blending of similarities. Instead of simply seeing dramatic tension as a linear progression from one Static Plot Point to the next, a more comprehensive approach sees tension in the relationship and juxtaposition of Static Plot Points throughout the narrative and at each and every touchpoint. Want to identify the source of tension within a Four-Act structure? Alternate between the Story Prerequisites and the Story Requirements for each Act. Want to generate ever-increasing tides of tension for a Sequence or even a Scene? Encapsulate both Prerequisite and Requirement within that dramatic unit and show it as simply a microcosm of the grander scale of things. Pride and Prejudice does this at both the Act and Scene level. Jane Austen’s time-tested narrative examines conflict bred from a deplorable Situation: the Bennet daughters must marry, and marry well. This much-needed Future exists as a blended and shared common Goal because of the discrete and separated reality of their current situation. 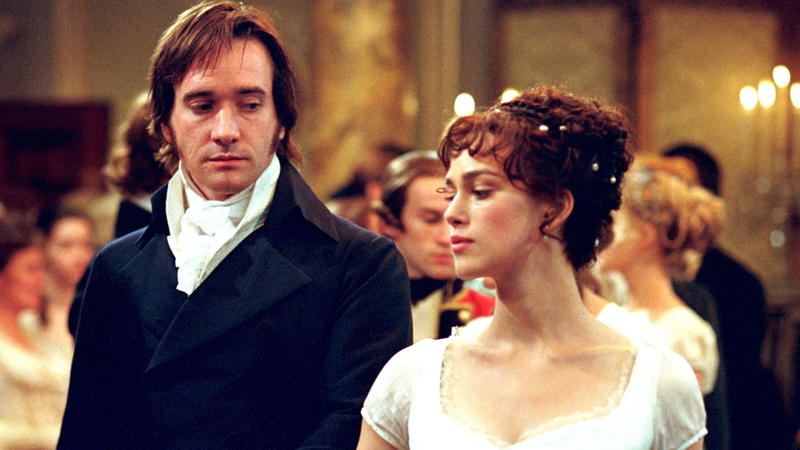 This Requirement of the Present naturally looks to Contemplations as its Prerequisite: the Bennet father only considering those suitors worthy of an inheritance. Already one senses the holistic relationship between Story Prerequisite, Story Requirement, and Story Goal. No longer do we search out one before acquiring the next before reaching the final destination. Now we see story points in relation to one another encouraging “evolution” and demanding change—just as Melanie said they would in her post. The story points themselves examine the fractured discrete nature of things, yet the dynamism at work within the model looks to the blended nature of the narrative itself. Looking to the individual Acts themselves, one begins to see this relationship reflected again and again. The novel begins with an exploration of the Bennet family’s current situation and tension within the daughters building up around their father’s ultimate decision—the Story Prerequisite of Contemplations within the context of the Overall Story in the Present. Elizabeth’s assumed decision to wed Mr. Bingley moves the narrative into a consideration of how things are changing for the Bennet family. The presumed betrothal encourages suitors like Mr. Collins to present themselves as the better alternative for the situation at hand—the Story Requirement of the Present within the context of the Overall Story in Progress, or How Things are Changing. This pattern of narrative relationships continues throughout the second half with the Story Prerequisites of Contemplations establishing tension in the Third Act and the Story Requirements returning to generate tension within the Fourth Act. Diving into each Act further, one finds this relationship between conscious contemplation and current situation continued throughout each and every Sequence and Scene. Even the individual Beats of these scenes carry the thematic DNA code of the narrative—constantly and consistently repeating, echoing the Author’s original intent. Throughout this series, our examples emphasize the Overall Story Throughline to the exclusion of the other three Throughlines. In truth, the actual feel of a narrative finds rhythm within the Main Character, Influence Character, Relationship Story and Overall Story perspectives. Some narratives find a consistency in three of the four Throughlines: Witness finds the Main Character, Influence Character, and Overall Story Throughlines searching for resolution throughout Three-Act structures. The Relationship Story Throughline bucks this trend with a Two-Act structure. The balance of all four trends towards Three Acts—an explanation why it often serves as the penultimate Three Act structure. Others find a mixture of Two, Three, and Four Act structures—the exact nature of each Throughline determined by the various Character and Plot Dynamics chosen by the Author. In our work with writers, producers, and directors we found an emphasis on the Overall Story Throughline to be the most effective approach. This commonality rests in the fact that most of our clients operate within the film or television industry. By setting the basic structure of the narrative to the most prominent Throughline in that medium, we help Authors meet their Audience’s expectations. Were we to consult with more novelists or playwrights, we would expect a shift in focus towards the more subjective Main Character or Relationship Story Throughlines. The Dramatica theory of story presents Authors an opportunity to see their stories from an unusual and often unattainable perspective. By granting an objective view of key story points and dynamics, creators can step outside of themselves and see their work the way everyone else does. Having identified the key Static Plot Points from that perspective, the Author can then confidently dive into the lives of their characters and know exactly where to find narrative tension. Writing a story used to be a game of guessing and endless speculation—a process of needless tension often ending in tragedy and missed opportunities. With Dramatica, Authors shine a light on their heart’s hidden desires and greatest intentions.